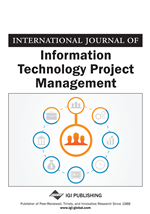 This paper, through the voices of two professors and a student, describes an educational experience that exposed students to virtual teams constructed between Information Technology Project Management classes of two branch campuses of the Pennsylvania State University. This experience focused on overcoming the communication problems of virtual teams in order to strengthen team building dynamics. Since working on virtual teams was the first experience for the students, attempts were made to control some aspects of the virtual team environment by eliminating cultural and time differences. The variable to be in focus was the building of trust in a virtual environment. By eliminating all other variables such as time zones, cultural and disciplinary backgrounds, etc., students could experience the efforts required to build trust in a virtual environment. Students were given pre and post experience surveys. The results indicate that initially many students were very apprehensive about virtual teams; however, after completing the course, most students expressed positive attitudes and a general understanding of techniques to work effectively in virtual teams. In addition, almost all teams commented on how important they felt virtual teams would become in the future as digital technology continues to improve. One of the defining characteristics of business in the 21st century is that it is conducted on a global context. Not only are large mega-corporations conducting business on a world wide scale, but also small niche companies can exist because they can serve a small clientele that may be spread out across the world. With a proper organization, corporations may work 24-hour shift although each location works a regular 8-hour shift. In the global business world, the need for people who have skills working in geographically dispersed teams has become very important. Virtual teams in the workplace are becoming increasingly popular. In 1998, the Harvard Business School estimated that over 15 million Americans worked in virtual offices and that number was growing by close to 20% per year (Elkins, 2000). With the increasing popularity of virtual teams, educators must prepare students for what they will experience after graduation. The exposure to virtual teams is critical for students since virtual teams need to be managed and handled in a different way than regular teams as is noted in the literature (Keyzerman, 2003). Educational experiences must be designed so that they allow team members to work together using technology over the Internet (i.e., computer-mediated communication (CMC)) to communicate with one another in a method which will allow students to solve a problem with minimal to no face-to-face (FtF) contact. Recognizing the role and importance of virtual teams in the global economy, we decided to incorporate a virtual team experience into our classes. In Fall 2005, students from two branch campuses of the Pennsylvania State University were exposed to a semester long project where they worked as virtual teams. The objective of this paper is to describe a pedagogical experience of introducing students to a virtual team experience in project management. The rest of the paper will first focus on the background of virtual teams. Then, in the Methodology Section, the particular virtual team project will be explained in detail focusing on what kinds of teambuilding activities and project assignments were performed. Finally, findings, discussion, conclusions and the ideas to be included in similar future projects will be presented.